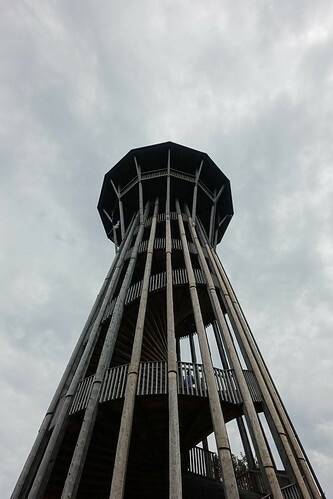 The Tour de Sauvabelin (Sauvabelin Tower) is a 35m-high wood tower, located inside Parc de Sauvabelin in Lausanne. 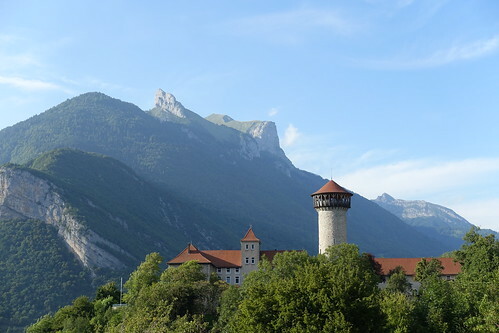 It offers a good view on Lausanne and the surrounding area, such as Lake Geneva or the mountains. 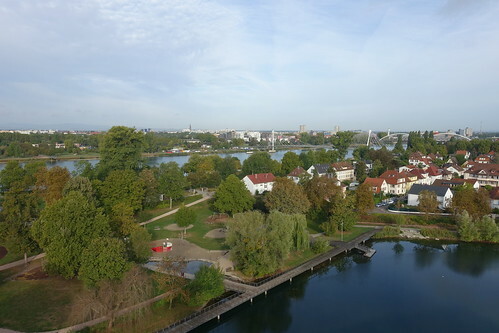 The park is also worth a stroll, with multiple forest paths, a lake and even a small zoo. The Cathédrale de Lausanne is a church in Lausanne, consecrated as Catholic in 1275, but which became protestant during the 16th century. 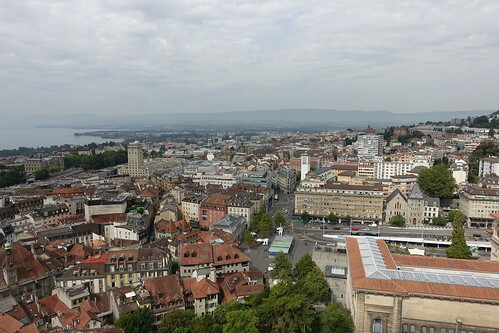 The bell tower of the cathedral offers a great view on Lausanne and Lake Geneva. However, while it is free to enter the church, it costs Fr. 5 to visit the tower. The Donjon des Seigneurs de Faverges (Keep of the Lords of Faverges) is a tower built in the 13th century and located inside the castle of Faverges. It is open to individuals during summer and offers a great view on the surrounding area. I went there coming down the Pointe de la Sambuy, on the way back to Annecy. La Grande Arche de la Défense is an office building in the business district of La Défense, west of Paris. After being closed for a few years, its rooftop was reopened to the public in 2017. 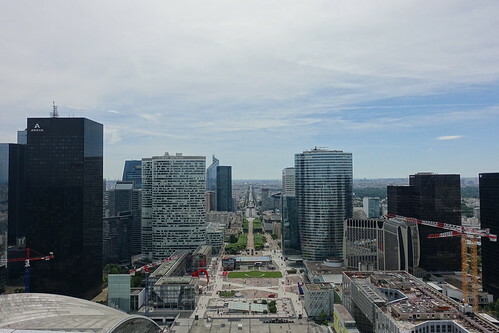 It offers a good view of La Défense and the surrounding area. 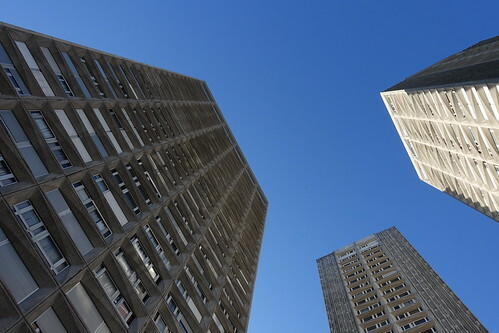 Les Olympiades is a district of residential towers located in the 13th arrondissement of Paris. Built from 1969 to 1974, the district consists of a dozen towers built along a large esplanade. A shopping mall, the Pagode, stands at the centre of the esplanade.